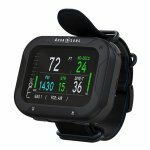 The most tech-savvy diver will appreciate the i770R's Bluetooth capability and cutting-edge high-visibility TFT color screen, as well as its robust functionality and intuitive, compact design. With standard features that include a rechargeable battery, 3-axis full-tilt compass, easy three-button navigation, multiple gas capability and 4 operating modes, managing your dive has never been easier. And, with options for hose-less gas integration via a paired-for-life transmitter (see SKU's: UDRT and UDRTO2) and DiverLog+ app, you can integrate technology and connectivity to all your dive adventures. Rechargeable lithium battery. Use your home, car, or portable charger with the included USB cable to power up your i770R wherever you are. High-visibility Thin Film Transistor (TFT) color screen with easy-to-use interface Ultra-bright, high-contrast, full-color TFT display, with easily adjustable intensity for perfect clarity and battery savings when a high-intensity screen is unnecessary. Easy-to-use interface. Monitor all your key information with the intuitive menu structure. The i770R's intuitive 3-button navigation interface allows for easy settings preview and updates. Bluetooth data transfer to the DiverLog+ app*. Using your smartphone or tablet, the DiverLog+ app (available for iOS and Android) allows you to wirelessly interact with your i770R via the latest Bluetooth Smart technology. 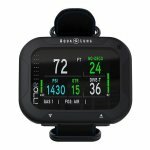 Remotely control all your i770R settings, view Log and Profile data, add location, notes and other details, as well as store and share photos and videos of your dive. Hose-less gas integration (optional). Aqua Lungs patented Gas Time Remaining Algorithm provides calculations in real time, allowing accurate gas management. Compatible with 4 different transmitters and nitrox mixes on a single dive. Paired-for-life transmitter. Once you pair your transmitter to your i770R, it's done there's no need to ever pair again. 3-axis full-tilt compass. Easy-to-read compass graphics, with a compass-bearing lock and reciprocal heading for easy navigation. 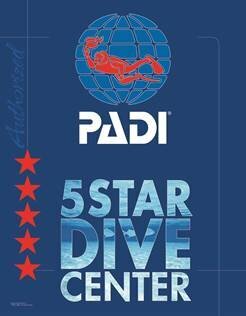 An alternate compass bar can be displayed on the primary dive screen with the touch of a button. Other main features are: Multiple gas capability manages up to 4 Nitrox mixes (with 4 transmitters), each with individual PO2 set points. Audible alarms and color-changing segments provide cautions and warnings for additional safety. Automatic altitude adjustment ensures an accurate profile. 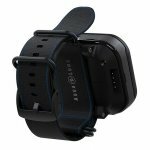 Included adjustable bungee wrist mount and NATO band. Pre-Dive planning feature allows a preview of planned dives to maximize your next adventure safely. Automatic Safety Stop Countdown displayed in minutes and seconds for clarity. Battery status indicator for both computer and transmitter. 4 operating modes: Air, Nitrox, Gauge and Free Dive, so it's up for any adventure. User-updatable software gives access to the latest features and upgrades. Optional deep stop with countdown timer. Salt or fresh water dive selection. 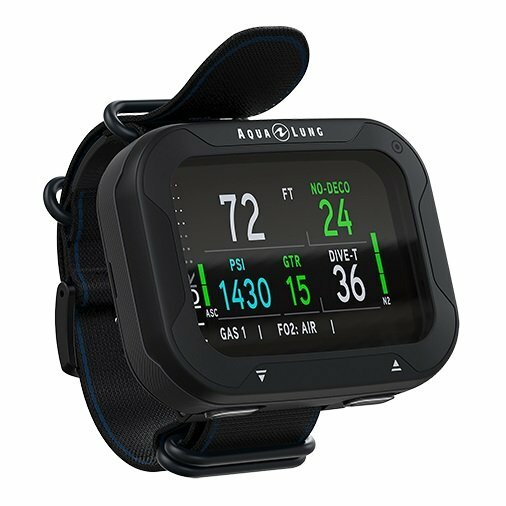 The Aqua Lung i770R Wrist Mount Computer includes a download cable, NATO wrist band, bungee kit, lens protector, quick reference card, digital instruction manual, paper safety reference and DiveLog+ brochure. * DiverLog+ app can be downloaded for free from the App Store, Google Play or ediverlog.com.